By now, you’ve probably heard that it takes 10,000 hours of practice to become an expert at anything. There’s some debate as to the truth of the 10,000-hour rule, but there is definitely truth to the notion that nobody’s born a master at the craft of writing. 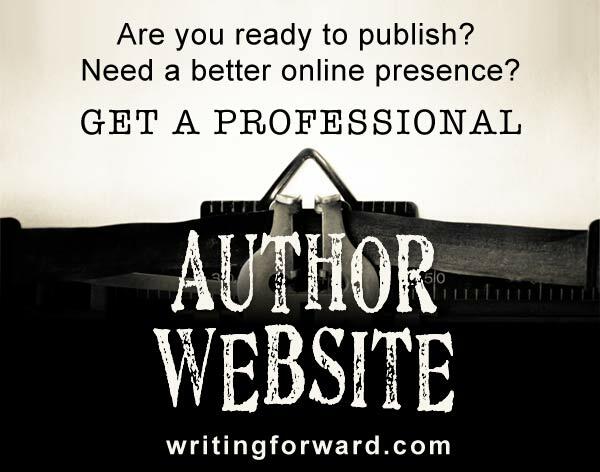 It takes time, energy, and practice to become a truly proficient and professional writer. Personally, I think 10,000 hours sounds about right, although some people will become experts at 7,500 hours (those lucky talents!) and others might need to put in 15,000 hours before they’ve mastered the art of writing. It doesn’t really matter how much time it takes — if you want to become a pro, you’ll invest the time necessary to constantly and consistently improve your skills and produce better writing. Fortunately, there are some simple steps you can take toward producing better writing, and maybe these steps will help you become an expert just a little bit quicker. Read. Listening to audio books and surfing around the Internet do not count as reading. Curl up with a well written novel, brush up on your nonfiction reading, flip through some poetry collections. Reading is the single best way to naturally acquire writing skills. Write every day. My music teacher said it’s better to practice for fifteen minutes every day than to practice for five hours once a week. I think the same is true for writing. Even if you can only dedicate a few minutes to writing every day, it will become an ingrained habit. Writing will become an integral part of your life. Brush up on grammar and style. It’s rare for a piece of writing to be so amazing that readers are willing to ignore bad grammar. Many writers are lazy in this area because learning grammar is a lot of work, and it’s academic work rather than creative work. The good news is that once you learn the rules, they will be with you forever. Make sure you know which style guides are pertinent to your chosen field of writing and make sure you include them in your collection of writing resources. Cultivate creativity. Have fun with your writing. Fill it with color or scale it back to a minimalist style. Try new words and off-the-wall images. 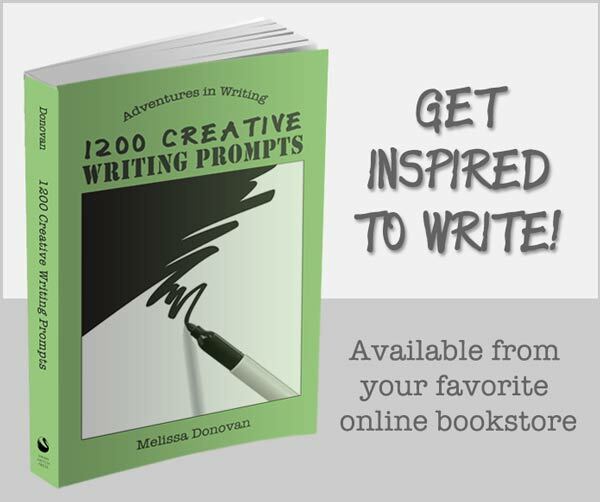 Creative writing keeps readers interested! Collect tools and resources. 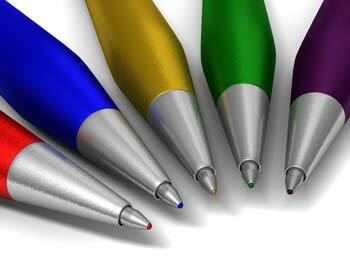 Find out which writing tools work best for you. Some of us like notebooks or note cards and fancy pens. Others need nothing more than a computer or electronic tablet. Make sure you have a nice stockpile of writing resources, from blog and magazine subscriptions (on the craft of writing) to books and mentors you can call on when you’re faced with writing-related questions. Conduct thoughtful research. If you work in the nonfiction arena, then make sure you’ve got your facts straight. Even in fiction, there has to be some alignment with reality for a story to be believable. Resources are abundant. Use them (and be sure to check their credentials). Develop a process. Find a writing process that works for you. What steps do you need to complete to tackle a writing project? Maybe you need to start with an outline, or perhaps you do better when you dive right in. You could have one process for fiction and another for nonfiction. Know yourself and know your process, whatever it may be. Proofread, edit, and revise. It’s blatantly obvious when a piece of writing has not been properly proofread. Typos, grammatical errors, and other crimes against language will assault anyone who attempts to read your work. So fix it. Share your work and invite feedback. One of the quickest ways to improve your writing is through feedback. Get a real, live, well-read person to review your work. Embrace the feedback, even if it hurts, and then put it to work for you by ironing out all the wrinkles that your friendly reader found. Return the favor: when you edit or critique another writer’s work, you’ll see a piece of writing from the editor’s angle as well as the reader’s. This will give you a better perspective on your own work. Make writing a priority. It will be almost impossible to succeed if writing isn’t high on your list of priorities and commitments. If writing is last on your daily to-do list, maybe it’s not something you’re all that serious about. Experiment with different forms. Every fiction writer can learn a thing or two from reading and writing a little poetry and vice versa. Nobody’s asking you to start rooting for a different team; just dip your toes in different waters so you know you’re swimming in the right body of water. Set goals and pursue them. Make a conscious commitment to strive for better writing every day. Using these tips, you can improve your writing, and you can start right now. Set aside twenty minutes a day to tackle the action items on this list and you’ll quickly become a more skilled writer. What do you to improve your writing? Do you have any tips or ideas to help others produce better writing? Share your thoughts by leaving a comment, and keep writing. The first reason alone is why I am sure many tell me I’ll never be a writer: I can’t stand to read within my genre, or any other fiction for that matter. Since it is all subjective, adjusting your abilities for a piece of art will actually set you back more than help pull you forward. I agree with reading non-fiction, getting articles on the topic you’re interested in, and listening to audiobooks (those do count, you aren’t getting NOTHING from them: You are learning something new every time you listen to a novel on CD or MP3). I don’t understand why someone would want to write in a genre they don’t enjoy reading, and I can’t understand why someone who doesn’t read fiction would want to write it. This has perplexed me for years, so maybe you can shed some light on it. If you don’t like to read fiction, why do you want to write it? The problem with not reading what you write, especially in fiction, is that it will invariably show in your work. I have encountered lots of writers who don’t read enough, and it’s obvious in their writing and storytelling that they lack familiarity with the craft. I have heard some writers say they don’t read in their genre because they don’t want to unconsciously copy other authors, but in my experience, those who don’t read are more likely to use concepts, premises, and other elements that have been done before. I have to strongly disagree with “adjusting your abilities for a piece of art will actually set you back.” First, I would point out that nobody’s talking about adjusting our abilities. We are talking about developing expertise in the craft, strengthening and growing our abilities. Improving your abilities in a craft, art, or trade does not set you back. In fact, failing to improve is what sets many people back. I do agree that there are benefits to listening to audiobooks, but the benefits are far greater when you read the text. It’s better to listen to audiobooks than to do nothing at all, and I know many people use audiobooks because of time constraints, and that’s a good thing. I couldn’t disagree more about audio books not entailing reading. My “reading” proportion is about 50/50 audio to physical. I retain the stories just as well with an audio book. If anything, I find listening to classics and plays on audio easier to absorb. Listening to audio books makes me more keenly aware of the rhythm and flow of words, and clunky dialogue stands out all the more. I don’t think it’s coincidence that I found the voice for a character I’d been struggling with after I started listening to audio books a lot more. Yes, there are some benefits to audiobooks. But when you listen to a book, you do not see the text. Your eyes are not on the words, sentences, and paragraphs. These are the building blocks of our craft, and exposure to them is critical for any writer’s development. Perhaps my statement that “audiobooks don’t count” was a little extreme, because I do think there’s something to gain from reading audiobooks, but it’s not nearly as much as we gain from regular reading. Except that you’re still absorbing those words. You’re still taking in words, paragraphs, and sentences. If anything, you absorb them better by listening. Language was developed verbally. Writing is only a kludge for translating words into a medium others can receive. Stories have been told verbally for far longer than we’ve been writing them down. The human brain is not wired to better process language through the eyes. I think I’ve gained a lot MORE by listening to audio books. My ear for dialogue has improved tremendously while I’ve been listening to audio books, and my first drafts are a lot less stilted. The language flows a lot better. Listening to audio books has made me a lot more attuned to words and how to use them. The best editing tool is to read one’s prose aloud, because language is an auditory thing. To dismiss audio books as a tool to improve one’s craft is to actively suppress a writer’s greatest asset in this age of readily available audio books. I also couldn’t disagree more strongly with your opinion that “audiobooks don’t count”. I find them exceptionally valuable in my study of the art and craft of writing. They may not be as valuable to you – perhaps because your learning style is more visual than auditory? – but that doesn’t mean that it’s true for everyone. I can definitely see how people with an auditory learning style would benefit from audiobooks. I have always advocated that the many tools and techniques available don’t work for every writer and we each have to find what works best for us. However, that doesn’t change the fact that writing is the act of putting words on the page. I realize there are exceptions — but the vast majority of us are going to be using a pen and paper or a computer, not an audio recorder, to create our works. Therefore, the best example for learning (not the only example — but the best) is going to be seeing words on the page with your own eyes. You cannot absorb spelling and punctuation from an audiobook and certain elements of grammar may not translate either. While many writers feel these elements of writing are secondary to content and context, they are critical to professionalism in writing. I also think there is much that writers can learn from music and film. We can learn rhythm and meter from music. We can study storytelling in film. We can examine structure in television shows. But the act of reading text is going to be the best form of study for a writer because it’s an exact example of the craft. I think the key is to understand what you can learn from different forms of media and then pursue your studies accordingly. If one has mastered grammar, spelling, and punctuation but struggles with plot structure, then yes, an audiobook may be the best method of consumption, especially for an auditory learner. But true mastery of writing cannot be acquired unless one reads actual text. As I mentioned in a previous comment, I do think audiobooks have worth for the study of writing, but you still cannot see the structure, spelling, and punctuation. Most people are visual learners (although there are some people who are auditory learners) and the act of looking at the text will teach more than listening to it. I do think that listening is excellent for picking up musicality and flow, which is particularly ideal for poets. But when we talk about the craft of writing, which involves putting words and sentences on the page, we’re going to get more out of an exact example, which would mean looking at words and sentences on a page, not listening to them. did any of you actually read Melissa’s response? she said that her comment about audio books was ” a little extreme” and i think what she was trying to say about the difference between audio books and written ones were you cant actually see the words listening to an audio book. you cant see the quotes, and capitalizations, periods, whlere paragraphs begin and end etc. which will all help you to learn correct grammar and in turn be better at your writing. so maybe before you all keep responding about the same thing maybe open your mind and try actually reading her response. Well said, and thanks for reading all the comments. I think a lot of people scan comments instead of reading every single one, and that’s okay (I do it myself), so some commenters probably didn’t see all the remarks. You give some great tips there, Melissa! A lot of those things are very important when it comes to writing, especially editing and getting feedback. If it’s helpful, try to get feedback from your writer’s group or from whomever you’re working with, and then try to write it into chapters. I wouldn’t try chapters before; just let it go on and see what the reaction is that you’re going to get, and then after that you can go over it. Yes, there are many forms of feedback that can help us improve our work from critiques to various types of edits (developmental, line editing, copy editing). Thanks for adding your thoughts to the conversation. Amazing tips Melissa ! I would add to practice some sports : I have noticed that going to the gym kind of open my mind and allow me to be more creative, less stuck on what I thought the story should be… I think it’s because of the oxygen ! Nothing’s better than a fresh brain before writing ! Yes, exercising is important for staying sharp and focused.